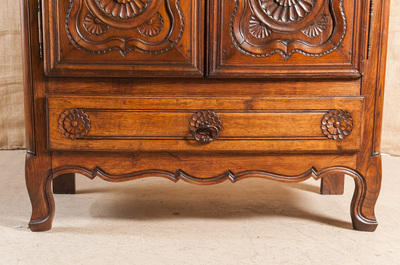 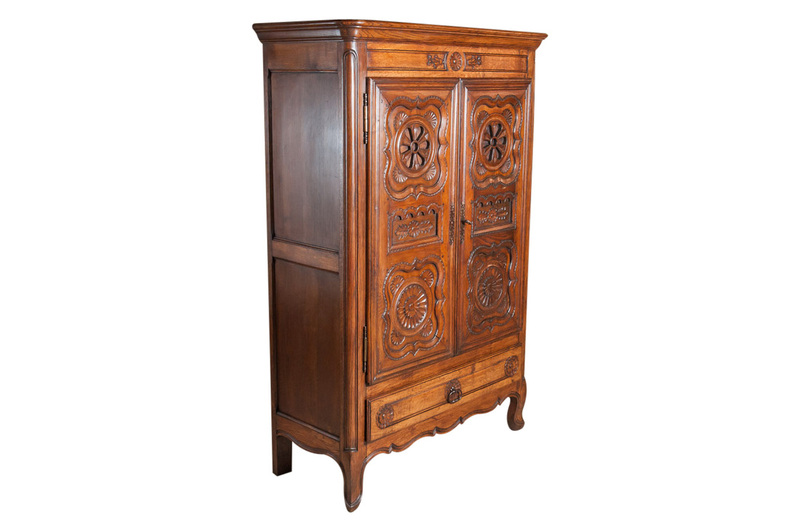 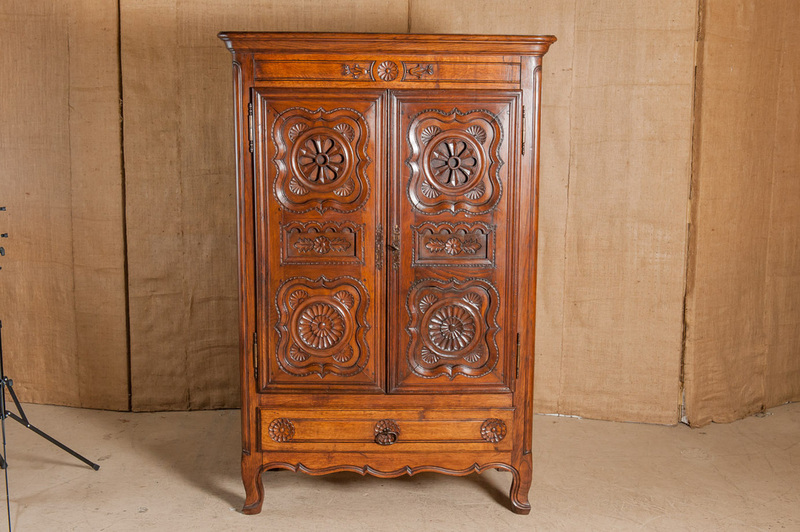 ﻿Antique French Louis XV style bassette (small armoire). Circa early 1900s. 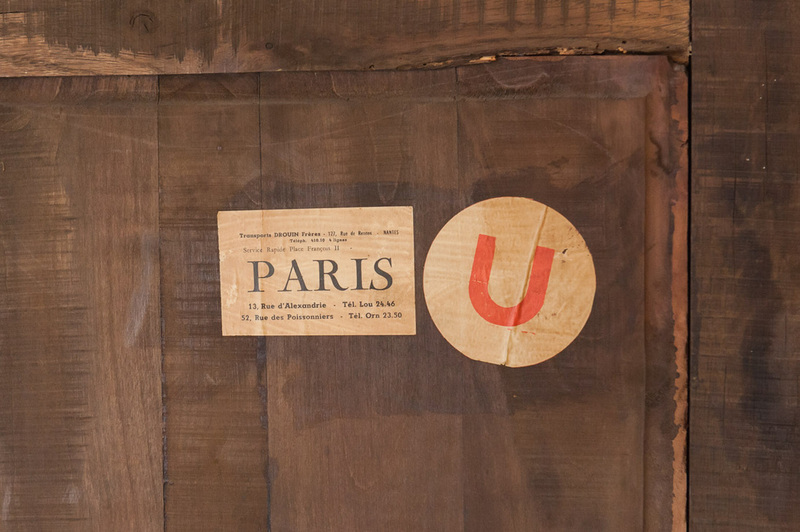 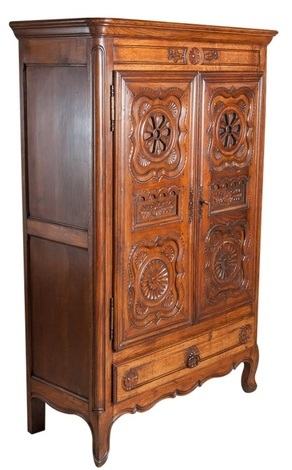 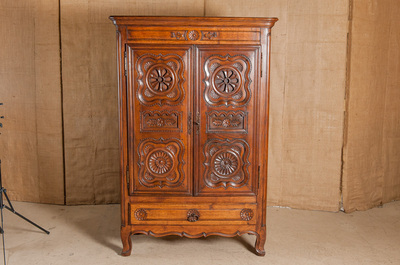 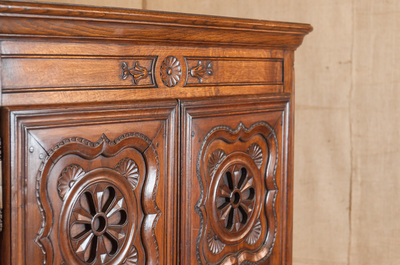 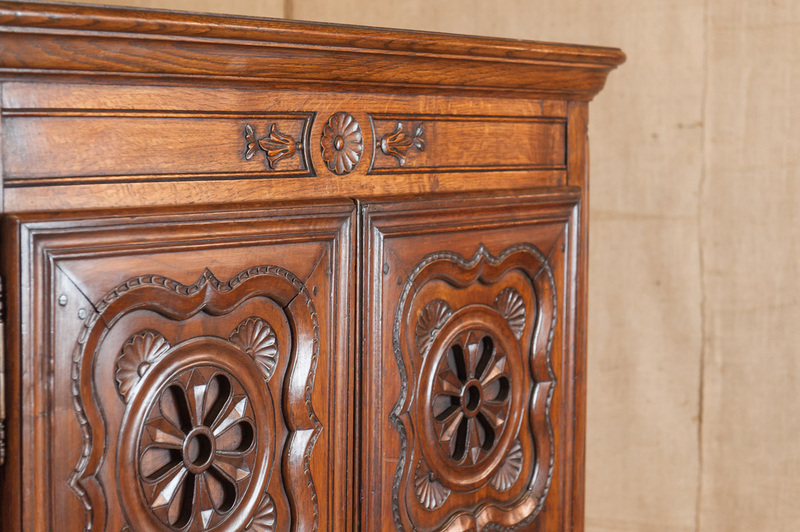 Small, two door armoire with carved floral medallions and carvings typical of the Brittany region. 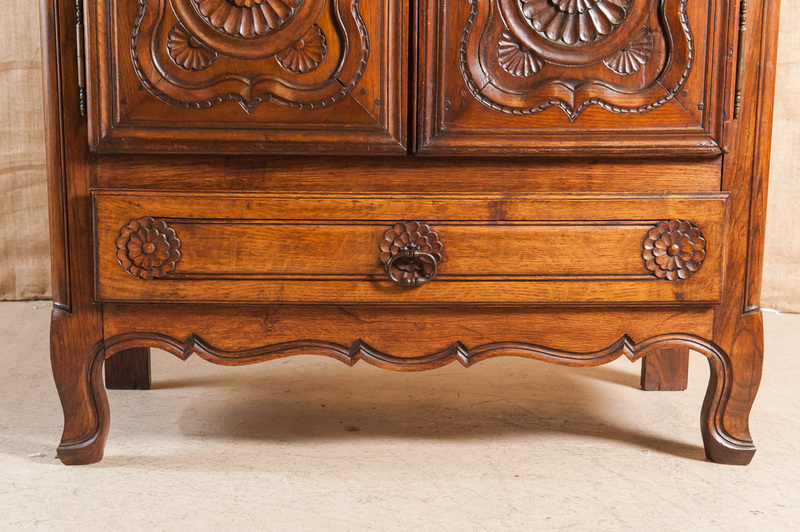 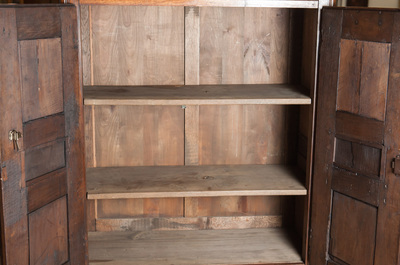 Single drawer above serpentine apron resting on short cabriole legs.